I’m off to a great start so far this New Year with sticking to my game plan of eating healthier and exercising. You’ve probably seen my #EatHealthy15 post on IG, but did you know that you could join in to be entered to win a bunch of fabulous prizes?! Read all of the details HERE so that you can continue the rest of the month with us. The true test is going to be next week when I go back to school. The toughest part is going to be eating a healthy breakfast since we leave the house so early in the morning. 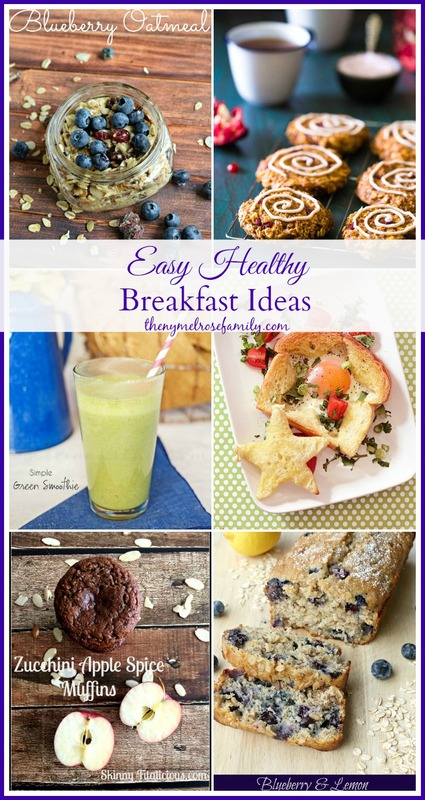 Luckily, I found these fabulous Easy Healthy Breakfast Ideas at Whimsy Wednesdays to help me stay on track. Click NEXT to view the NEXT Easy Healthy Breakfast Idea.